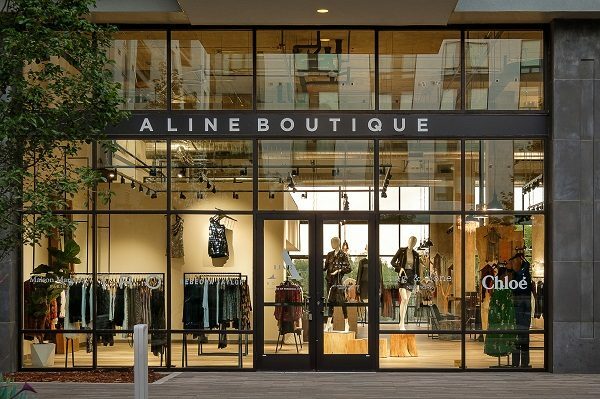 Women’s apparel shop A Line Boutique is poised for two big changes this year. The Denver-based retailer expects to open its fourth location near Union Station by early April. It’s also moving its Cherry Creek store about a quarter-mile west, next to SoulCycle in the St. Paul Collection development. The business signed 10-year leases for both properties. 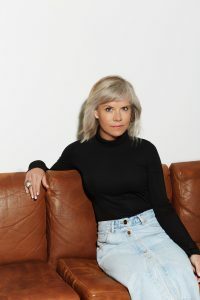 Karmen Berentsen purchased A Line Boutique in 2012, when it had only one location in Greenwood Village. She went on to add stores in Cherry Creek and Castle Rock (and move the Greenwood Village location to Belleview Station), and to increase annual revenue from $300,000 to $6 million. Berentsen said the 3,300-square-foot store planned for the ground floor of the Coloradan, a condo building at 1750 Wewatta St., should be open by early April. The timeline for the move within Cherry Creek hasn’t been finalized. Brandon Barker, A Line marketing director, said the goal was to “improve the consistency” among the brand’s stores; the other locations, including the upcoming Union Station spot, were custom build outs. The move is also an expansion. A Line’s current store at 2445 E. 3rd Ave. is 2,100 square feet. The spot next to SoulCycle is nearly 4,000 sf. A Line employs 10 stylists across its locations that pick out clothes for customers, based on conversations about their needs and lifestyles. Berentsen said a stylist then will put together a room with a variety of clothing options. If they choose to hold off on a purchase, the boutique offers an app with a “virtual dressing room” that will store those items and alert the customer when they’re marked down. Berentsen doesn’t come from the fashion industry. Her first company was GB Synergy, a tech company she launched in her 20s. She said her success comes from an ability to solve problems. A Line purchases clothing from more than 60 designers, according to its website. Berentsen said that its inventory is priced as “luxury goods,” but that it does have a large sale section at its Cherry Creek location. She hopes to incorporate that into all A Line stores, but doesn’t know if it immediately will be integrated into the St. Paul Collection shop. At the Coloradan, A Line Boutique is joining tenants Pure Barre, Blo Blow Dry Bar, New York-based cafe Kaffe Landskap, Slifer Smith & Frampton Real Estate, and Revolution Dry Cleaners. In addition to SoulCycle, fellow tenants at St. Paul Collection include Crate & Barrel spinoff CB2 and French restaurant Le Bilboquet.